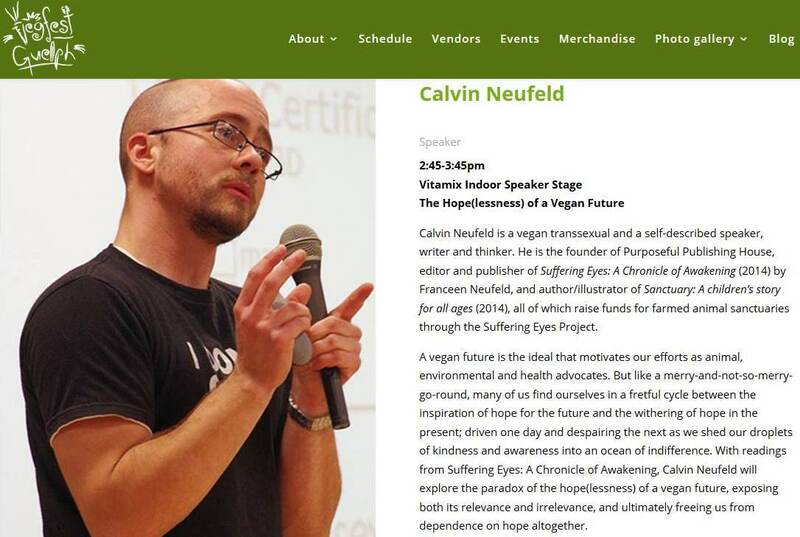 Description: A vegan future is the ideal that motivates our efforts as animal, environmental and health advocates. But like a merry-and-not-so-merry-go-round, many of us find ourselves in a fretful cycle between the inspiration of hope for the future and the withering of hope in the present; driven one day and despairing the next as we shed our droplets of kindness and awareness into an ocean of indifference. With readings from Suffering Eyes: A Chronicle of Awakening, Calvin Neufeld will explore the paradox of the hope(lessness) of a vegan future, exposing both its relevance and irrelevance, and ultimately freeing us from dependence on hope altogether.